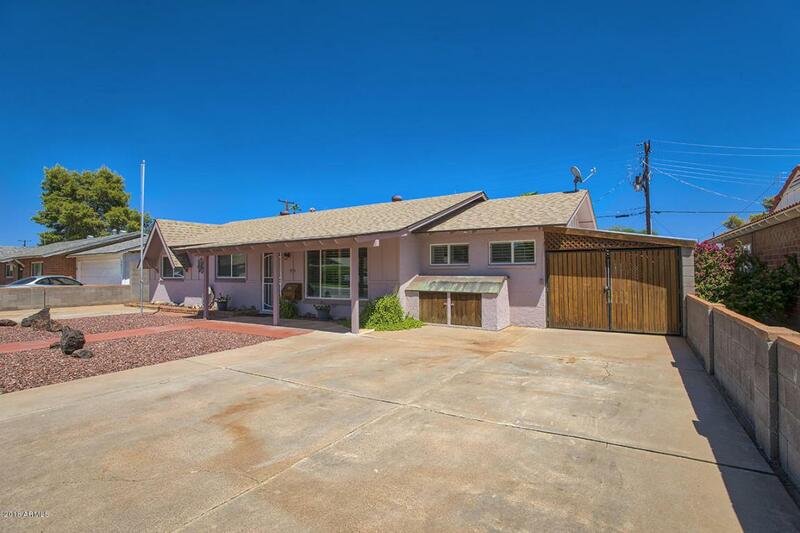 Ridiculously well-maintained, clean, single-story home perfectly located in South Scottsdale with easy access to the 101 and 202 Loops. 3 bedroom plus Bonus room, 2 full baths plus 2 half baths! This home has many upgrades including duel pane windows (2013), sunscreens on all windows, new front and back doors (2015), new roof (2014), HVAC (2008), travertine flooring (2012), refrigerator (2011) and built-in oven/microwave (2017). 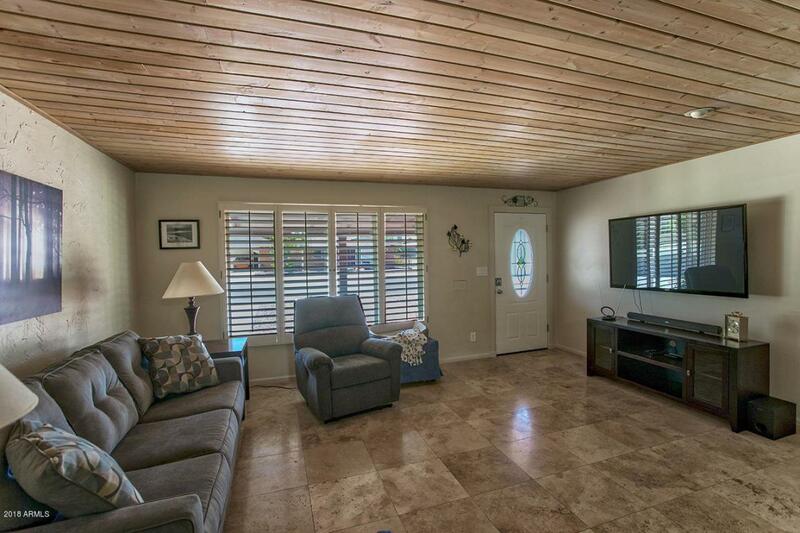 Also, boasting a unique knotty pine ceiling, travertine flooring throughout all living areas and Master bedroom and a large addition of a BONUS room! 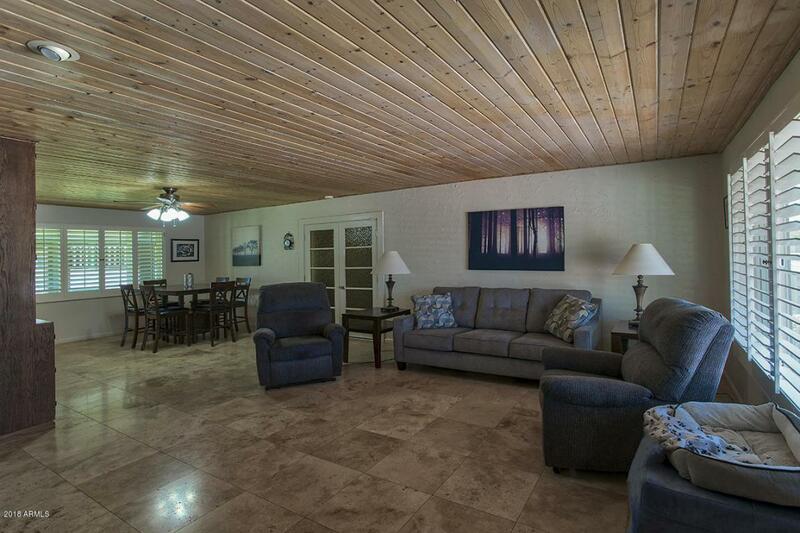 The bonus room has its own wet bar and half-bath, perfect for an entertaining space, play room or mother-in-law suite! The hallway bathroom is spacious and has an upgraded, travertine tiled wall shower.The big back yard offers a tranquil feel with two peach trees (just 2 years old), flower beds, green grass, a large covered patio and huge storage shed. Yard is large enough to add a pool, there once was one and the convenient pool half bath still remains! The washer/dryer are conveniently located just outside the kitchen on the back, covered patio. The home has an ENERGY SCORE from SRP of a perfect 10! 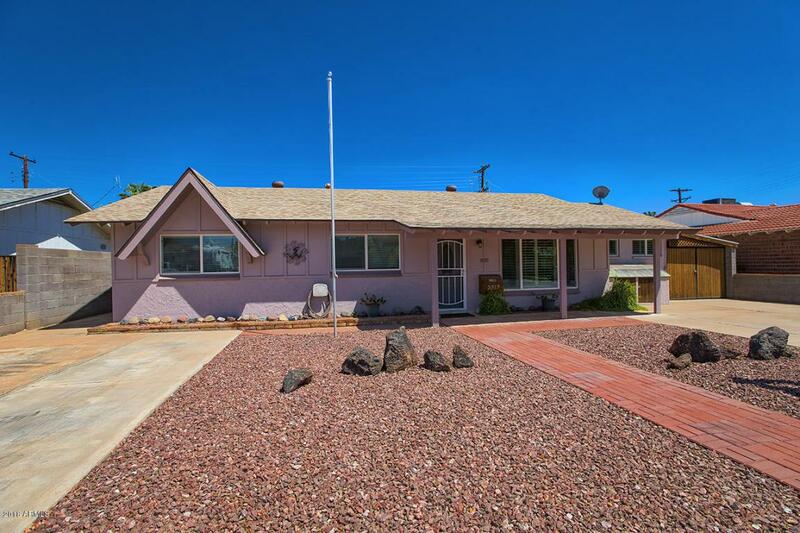 Priced to sell, this home will not last long in this highly desirable area of Scottsdale! See Documents Tab for appraiser square footage and for SRP Energy Score Rating.